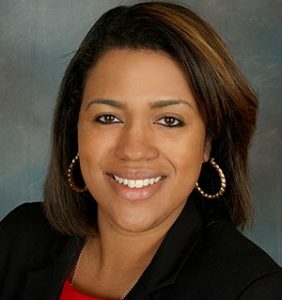 Mayor Lovely A. Warren announced today that she has named Daniele Lyman-Torres, President of the Arc of Yates and an experienced executive in the Rochester area’s human service sector, as the Commissioner of the Department of Recreation and Youth Services. Ms. Lyman-Torres’ appointment is effective March 1 pending City Council confirmation. She brings more than 18 years of experience in the non-profit sector to the post. As the president of the Arc of Yates she oversaw an organization that provides a wide range of services to people with intellectual and developmental disabilities. She has also served as the chief operating officer of Rochester Genesee Regional Transportation Authority; the senior vice president and chief operating officer of Trillium Health; regional director of the United Way of Greater Rochester and was head of Human Resources and Organizational Development at Heritage Christian Services. In those roles, she assembled an administrative track record as an innovative leader and highly effective manager. Her experiences and accomplishments include the launch of a new management and performance system at the Arc of Yates; management of the design and opening of the RGRTA Transit Center; opening a new, full-service pharmacy at AIDS Community Health Center (now Trillium Health) with profit margins that supported the overall mission of the organization; and administered the merger of two mid-sized non-profit organizations. Ms. Lyman-Torres is on the Board of Directors for Lakeview Health Services, the Collaborative of the Finger Lakes; and is chair of the Greater Rochester American Heart Association Circle of Red. She has also worked as an adjunct professor of business at Roberts Wesleyan College. She has been honored with some of the Rochester area’s most prestigious civic awards, including the Rochester Business Journal’s Forty Under 40 Award; the Roc City Rising Emerging Leader Award; and induction into Monroe Community College Alumni Hall of Fame. Ms. Lyman-Torres has an associate’s degree in liberal arts and sciences from Monroe Community College; a bachelor’s degree in organizational management and a master’s degree in strategic leadership from Roberts Wesleyan College. She is pursuing her doctorate in Executive Leadership at St. John Fisher College. DRYS administers a suite of programs, social activities and support services with the goal of helping the citizens of Rochester reach their full potential through recreation, education, creative arts and employment readiness. The Department places a special emphasis on supporting youth in their formative years and manages the City’s R-Centers and Community Centers. DRYS also manages the City of Rochester Public Market. Ms. Lyman-Torres lives in northeast Rochester with her husband Eric and their six children. 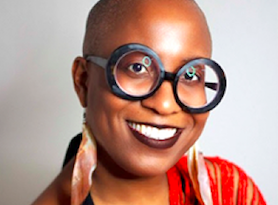 HAIR TO GO NATURAL HOSTS RENOWNED LOCTICIAN MICHELLE LONDON! September 10, 2018 TheChallengerNews Comments Off on HAIR TO GO NATURAL HOSTS RENOWNED LOCTICIAN MICHELLE LONDON! 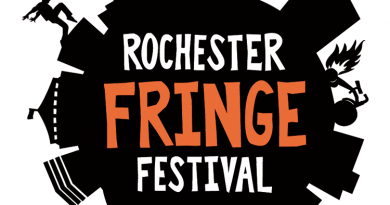 April 18, 2018 TheChallengerNews Comments Off on Rochester Fringe 2018 Show Submissions Close April 30th! Joint Schools Construction Board Takes Action ! April 14, 2018 TheChallengerNews Comments Off on Joint Schools Construction Board Takes Action !